Bredasdorp is situated in the heart of the Overberg region a mere 2 hours drive from Cape Town and approximately 25 km from Cape Agulhas, the southernmost point of Africa. 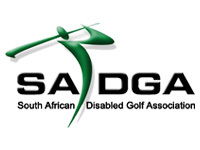 Bredasdorp Golf Club was founded in 1919 and golf was played on the old course until 1977. The current course that was opened in 1977, is a Par 72 measuring 5666 meters and is the golf course closest to the southernmost point of Africa. The large bent grass greens and ample fairways are in excellent condition. This 9 hole course plays true with many scoring opportunities but with a reputation for playing extremely difficult in windy conditions. In 2003 the magazine Golf Digest ranked it among the 100 greatest 9-hole golf courses in the country. There is a driving range on site. The clubhouse incorporates a bar, halfway house and Pro Shop. Visitors are most welcome and caddies and golf carts are available for hire. We have a members base of 257 and have a steady influx of visitors all year long, often returning several times to once again experience the hospitality that we offer.